This is an HD Texture Pack for Kingdom Hearts Birth by Sleep Final Mix. 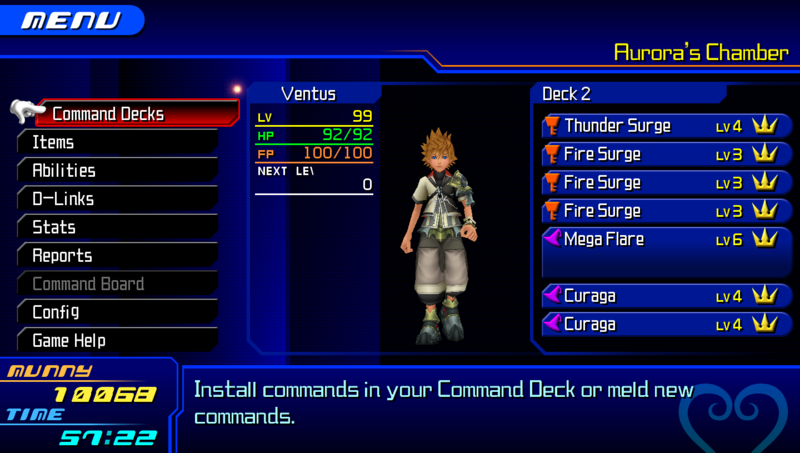 This is made by fans, aiming to bring a higher quality time with playing this game on a PC with the PPSSPP emulator. Not possible on a real PSP. It's also compatible with the non-Final Mix, EUR/USA versions of the game. -Normal and Detailed(Real Eye/Mouth Animation) models for all characters. Eye/Lips for normal models are still problematic to implement. If anyone can solve it, tell me. = 100%? Realm of Darkness - None/0%? Any resolution you prefer to play at, but I recommend a minimum of 4x PSP. VSync on. It may be just me, but I notice alot of tearing using this pack. Anisotropic 16X. It doesn't hurt performance. Keep Texture Filtering on AUTO. DO NOT CHANGE THIS. Please for the love of hearts, DELETE the previous folder when updating, or issues and file size increase may occur! The instructions were moved to a better, more organized place, on the link below. You can swap Aqua's model to the 2.5 version in the Patches folder. Featuring Button Swapping Textures. Does not come with keybinds. Check The Bonus Folder. Step 1: Go to Settings ---> System and turn on [Enable cheats]. Step 2: Go back to the pause menu(Or unpause then pause), press [Cheats], [Edit cheat file] and input the following on the text file. Then Save and Restart PSP. Step 3: Go back to [Cheats] in the pause menu and enable what you want. Enjoy. NOTE: This does NOT break the game. Use it freely. Latest Version: Check GitHub from now on for updates, and when the latest version is released! Square Enix and Disney for making this game possible, as this is my introduction to the Kingdom Hearts series! And also for the 2.5 assets. And feel free to post here, I'll be happy to create a list of mods here. Excuse me, Can i ask? I try on PC is work, but on Android don't work, why? Thank you for your hardwork, sir. I am not soo sure what is the cause of this behaviour. This may be something worth issuing on GitHub, as it seems only my pack has this problem, DESPITE WORKING PERFECTLY on Windows. I'll see what it is about. OK, I look into soon, thanks. Well, I made the changes, just download the textures.ini and your issue should be fixed for now. Thanks for looking over at it. It's working for android now, thank you again. Thank you for the pack! How did you dump them from 2.5?! Do you happen to have KH2FM textures as well? Anyway I could have a look at them? Yes. 2.5, but the KH2FM textures weren't taken. Only BBS. Hey bro I just downloaded the mod and it's pretty cool, but I don't know why the menu is still in the older version ( imgur com/a/YYjYOC8 ) I'm using 1.6.3 PPSSPP and the english version by keytotruth. For example the reports menu works properly (Or I guess that xD) ( imgur com/a/x3x2iRm ) I tried create new game, use other characters, nothing changes, all works properly except that. Thanks for ur time! Also, did you make sure nothing was deleted? A single file deleted could cause trouble, and a single change to the .ini could break everything. Heey, same problem for me. 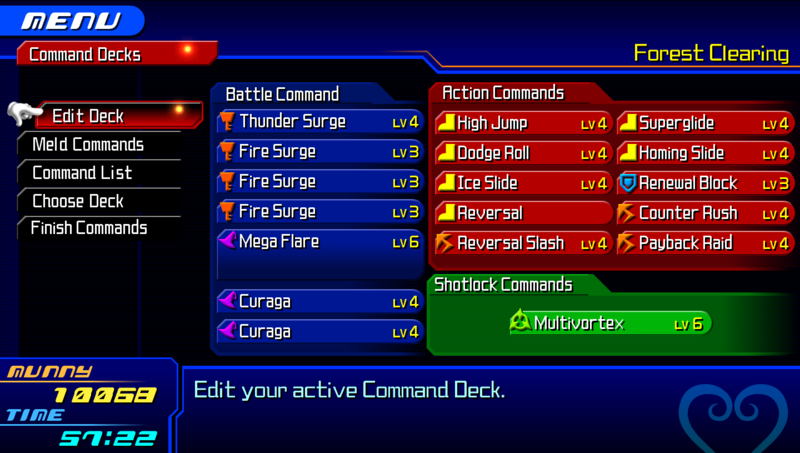 Most textures are being replaced, however the menu and command wheel aren't being swapped over. Maybe you've provided an old ini? Are you sure it's not working, even on the latest? I'll see what is going on if possible. Everything is supposed to work normally. EDIT: It seems I can't reproduce this, no matter what I do, perhaps you guys are using a build that breaks the pack? Or forgot to update/didn't delete everything? Yep! I downloaded the latest PPSSPP build (1.6.3) from scratch with no previous installments, installed the pack the correct way and still an issue. I'm going to assume your ISO differs from the one the majority of people have? Would you be able to add me on Discord so we can discuss? Would love to see if we can get this solved. Well, the problem was resolved. The case is about the use of a bad ISO, which somehow doesn't match with the textures.ini. Everyone, before asking me that it isn't working, please review how you are getting your ISOs, I can't do anything about it. Hi, I downloaded the latest version of Github, but a few elements aren't in HD. For example, the in-game menu's "Menu", "Munny" and "Time" are still pixelated. Also, the font for when you talk to people in the worlds is still pixelated. If you need any help remastering any art, I'd be happy to try. Thanks for all your hard work.